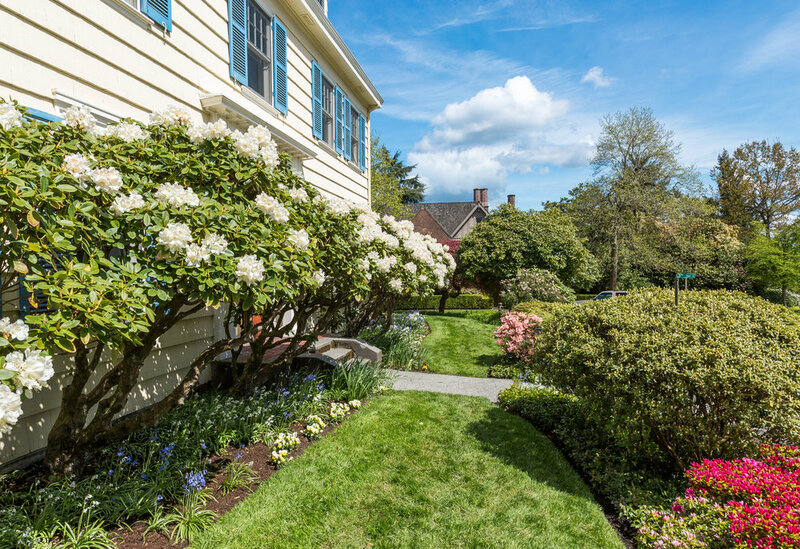 Gracefully situated on a prime corner in the heart of Washington Park, this grand colonial home offers elegant living, sunny patios and lush landscaping. A true architectural gem with high ceilings and classic detailing throughout, this residence offers a perfect floor plan. The entry foyer welcomes with a stunning staircase and is flanked by the formal dining and living rooms. 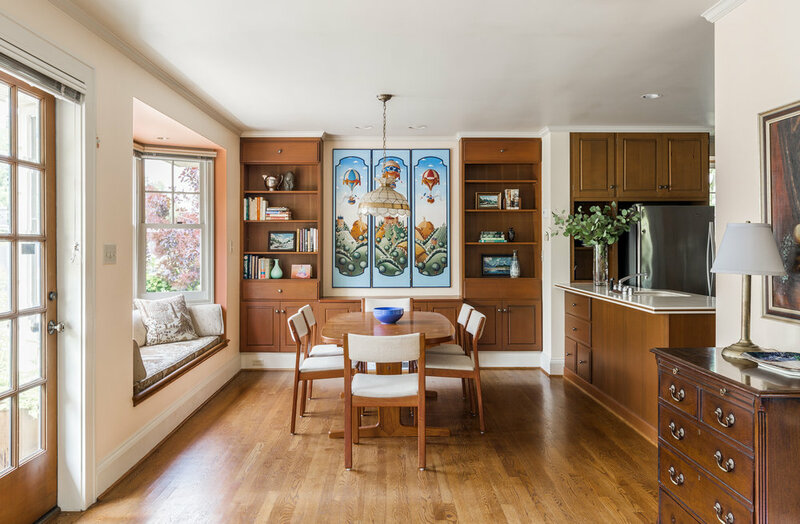 A wonderful family room is adjacent to the kitchen and opens out to the garden with western exposure. Conveniently located between the kitchen and the living room is a private library/study – ideal for a home office. The spacious second floor offers four bedrooms and two baths. The third-floor suite includes a delightful bedroom with territorial views to the Lake and Bellevue skyline, a full bath and sitting area. This residence of 5,494 SF includes abundant space in the lower level for a media room/rec room and storage. A short walk to the charming village of Madison Park with its shops, cafes and the lovely park on the shores of Lake Washington.